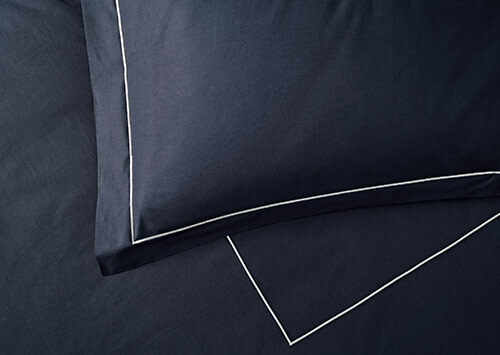 The Deluxe collection in white is finely crafted in Italy from premium 600-thread-count percale cotton for the softest touch. The pillow shams are decorated with a delicately embroidered border in white, which adds beauty and a dash of texture. For superior comfort and beauty, top your Sofitel Bed with this luxurious set.